In 1917, the U.S. Navy decided to replace its Model 1860 cutlass which had been in continuous service for 57 years, with a new model. 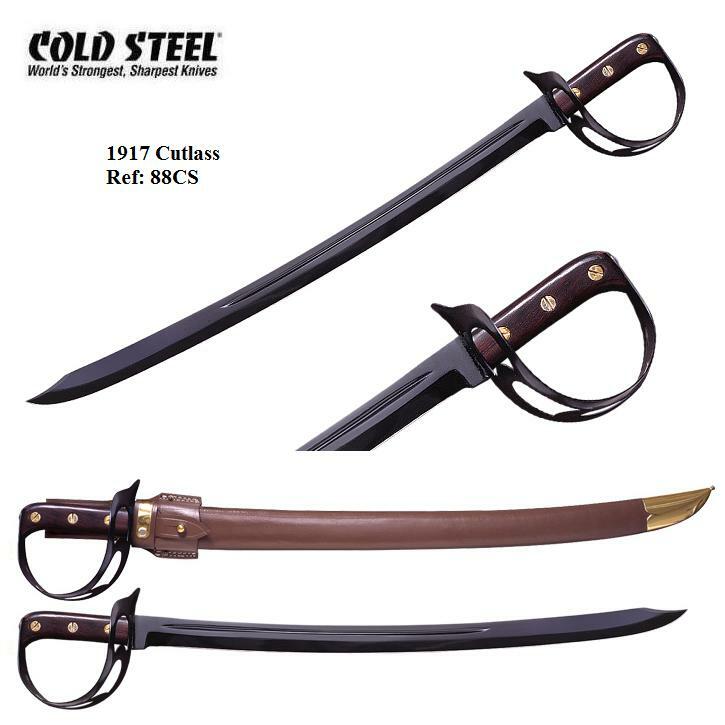 Cold Steel's® modern recreation of this classic fighting sword is as authentic as possible, it is virtually an exact copy of an original in the personal collection of Cold Steel President, Lynn C. Thompson. Our 1917 Cutlass features the signature 25" curved blade and a half basket guard that’s stamped out of heavy 18-gauge high carbon steel, and both the blade and guard are blued to resist rusting. 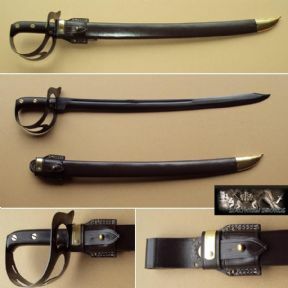 The handle is made from carefully shaped hardwood, painted brown and secured to the tang by three heavy brass cutler's rivets. 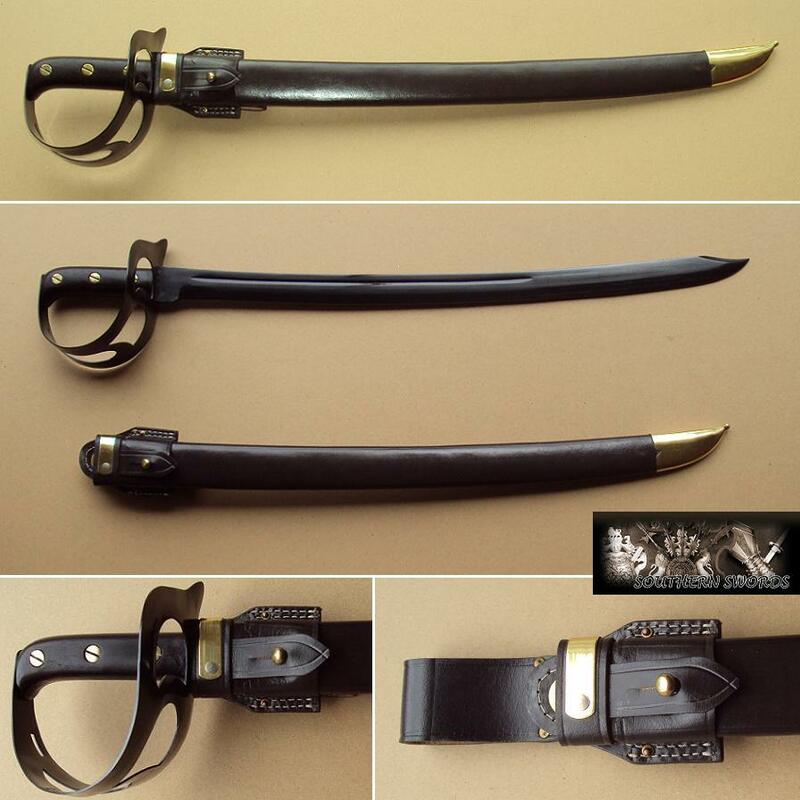 The scabbard is an accurate reproduction of the original and is made of high quality leather and features brass and copper fixtures. It can be worn comfortably at the side on a pistol belt without chafing its owner.